The Pasta My Mother Would Never Make | I Am Not A Restaurant! However, if you need an excuse, invite friends over on a Friday. It's that simple to put together at the end of a work week. Really. Notes: I switched out the pasta for what I had and reduced the quantity by a quarter. I also subbed dried thyme for fresh and cut the amount in half. 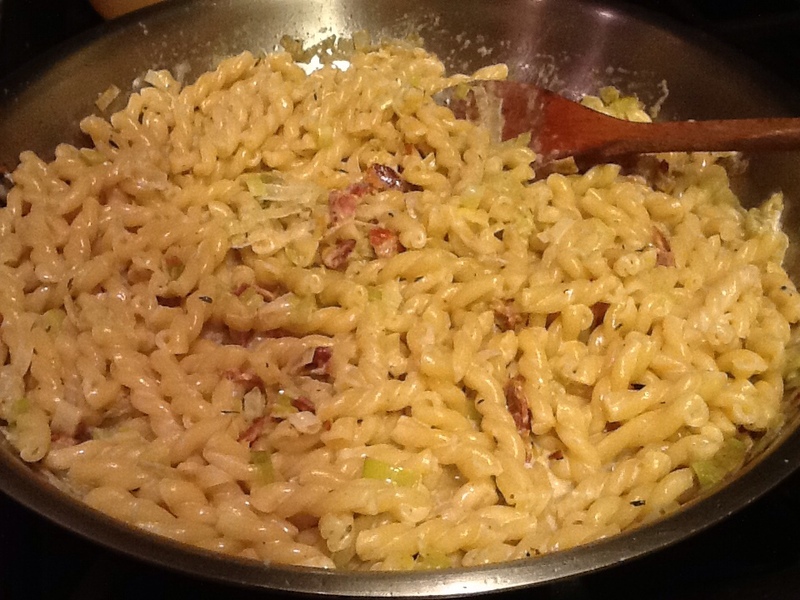 Oct25October 25, 2013 • By Betsy Karetnick • This entry was posted in Dish of the Day, Kitchen Help, Pasta, Recipes and tagged bacon, Bon Appetit, Pasta. Bookmark the permalink. mmm i need me a huge bowl of this right here!